YouTube on the iPhone and iPad, without advertising, to support offline viewing but still nothing. You think it's impossible? But not guessed! 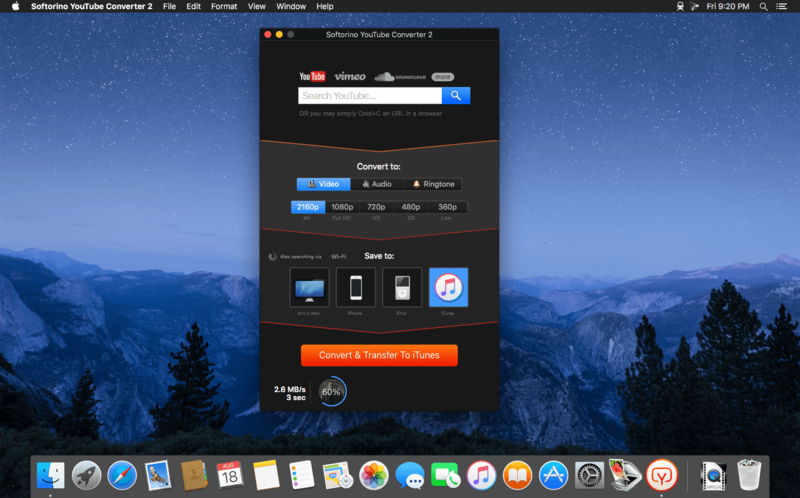 All this and a little bit more you can get by using Softorino YouTube Converter. The whole process is simple in the extreme: copy the link to the video, go to the app and choose where you want to save the video. 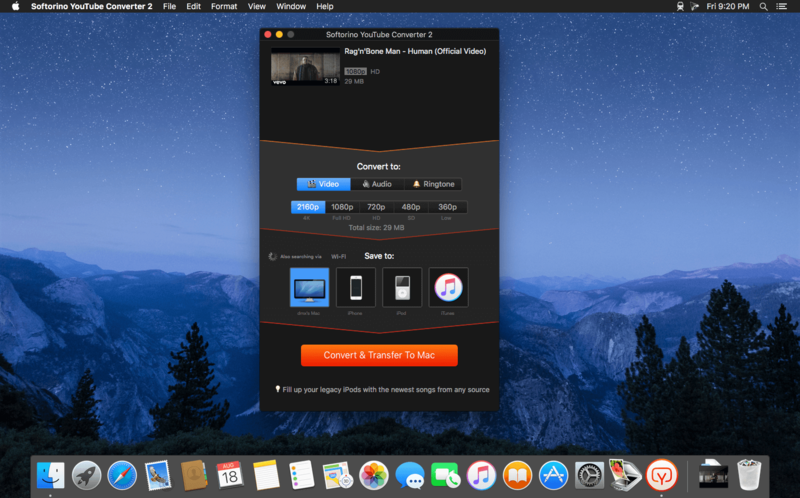 After you copy the link to the clipboard, Softorino YouTube Converter automatically recognizes it, and you will only choose the quality (60fps, 2160p 4K, 1080p HD, 720p, 360p, or audio only) and a place to save (Mac or iOS-device ). A few seconds after pressing the button Download the file is in the "Boot" on the Mac, or "Video" application / "Music" on iOS. That's all. it works anywhere in the world, in contrast to the YouTube Red.